Did you know that food waste presents a pressing issue among the US and the rest of the world? With a large impact on our environment, resources, and finances, addressing this issue by changing personal habits can make a difference. With an estimated 40% of food in the US wasted every year, this damaging problem negatively affects so many aspects of our planet. Food production requires a substantial amount of resources– approximately 70% of fresh water and 50% of the land is designated for agricultural use. Agriculture has many negative effects on our environment including greenhouse gas emissions and pesticide run-off. With so much of our food being wasted, that, in turn, means that we are negatively affecting our environment with no purpose. The considerable amount of fresh water being wasted due to food waste is disastrous considering so many don’t have access to fresh water. When it comes to water waste, one wasted hamburger is equal to a 90-minute shower. With 1.3 billion tons of food wasted each year, that accounts for almost a third of total food production. The food waste experienced in Europe and North America is 15 times more than counties located in Southeast Asia and sub-Saharan Africa. Lowering the amount of food wasted starts with each family. We recommend avoiding excessive meals when dining out. Consider sharing dishes with family members, requesting to-go boxes, or asking for smaller portions in order to limit overeating as well. When it comes to grocery shopping, be mindful of what you already have as well as purchasing bulk items that have limited shelf lives. Making sure your refrigerator settings are correct can also make a world of difference in properly preserving your groceries for longer. Donating items that you won’t get to prior to expiration is also a great idea. For more ways on how to lower your food waste, please contact us! Asparagus is now officially in season as spring and summer come upon us! Asparagus offers a multitude of antioxidants and vitamins. At its peak, asparagus has optimal flavor and is least expensive during these seasons. 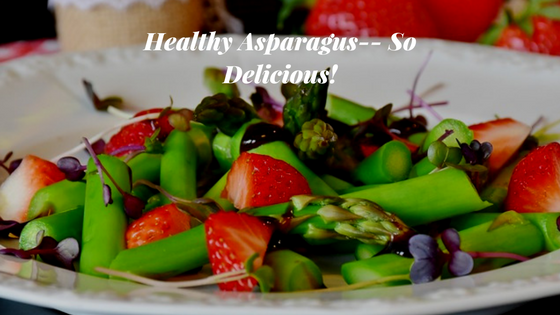 A great addition to any dish, asparagus is a versatile vegetable that can be prepared in many ways offering any home cook the opportunity to add a healthy component to their meal. When shopping for asparagus, it’s best practice to find a bunch with firm stems and tightly closed tips. We always recommend using your asparagus purchase immediately, but you can always store them by standing their stems in a bowl a cold water and leaving them in the fridge for a few days. When preparing your fresh asparagus for cooking, always cut off the tough ends of the stems and recognize that cooking times can vary based on asparagus thickness and personal preference on crispiness. Asparagus can be utilized in more than just a side dish– you can add it to your pasta, omelets, salads, and more! Blanching: Boil your asparagus for two to three minutes, drain, and immediately rinse with cold water. Steaming: Tie your bundle of asparagus at the top and bottom with kitchen string. Bring two inches of water to a boil in a tall pot, place the asparagus with the stems in the boiling water, and allow to cook for three to five minutes. Boiling: Using a skillet, add one to two inches of boiling water. Lay your asparagus flat and boil for two to four minutes. Roasting: Place your asparagus on a nonstick backing sheet with either cooking spray or parchment paper and roast in the oven at 450 degrees for eight to ten minutes. Grilling: Using cooking spray, place your asparagus in the pre-heated grill and grill for five to seven minutes. Stir fry: Cut your asparagus diagonally into one to two-inch pieces and stir fry in a nonstick wok with salt-free broth or white wine for about three minutes. Asparagus is great unseasoned but you can always add a little flavor with marinades or seasonings! Enjoy the asparagus season!